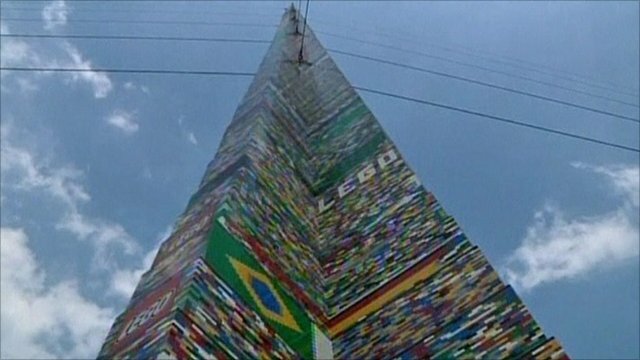 Artist builds 22ft Lego warship Jump to media player An artist has created a 22ft model of the warship USS Intrepid using 250,000 pieces of Lego. 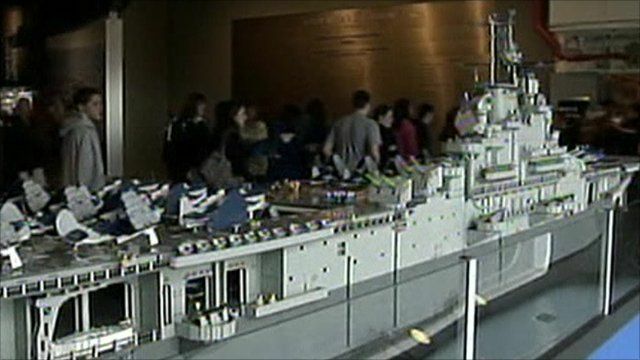 An artist has created a 22ft model of the warship USS Intrepid using 250,000 pieces of Lego - taking thousands of hours over a whole year to complete. Ed Diment built the model, which weighs almost 40st (249kg), on board the Intrepid, which is now a museum and docked in New York. The warship was launched in April 1943 and was decommissioned in March 1974. Mr Diment, who has been building models with Lego since the age of three, explained how he began the huge task of building the warship, which has been valued at more than £30,000 ($50,000).